English Premier League: a fight to the finish! 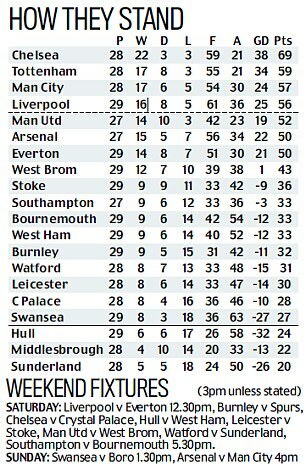 This weekend the Premier League is back and there is barely a club in the top division with nothing to play for. The title looks as though it’s on its way to Chelsea but what about everybody else? The race for the top four is the tightest it’s been for years and arguably includes everybody as far down as Everton in seventh. Meanwhile, there is much to be played for at the bottom end, with revivals by Hull and Swansea not yet enough to drag them clear of the relegation whirlpool. Here, Sportsmail‘s football editor IAN LADYMAN looks back at what has gone right and wrong for each of the 20 top flight clubs this season. Best thing about this season: Arsenal are still in the FA Cup. For all their limitations, Arsene Wenger’s team remain capable of winning big matches on their day. 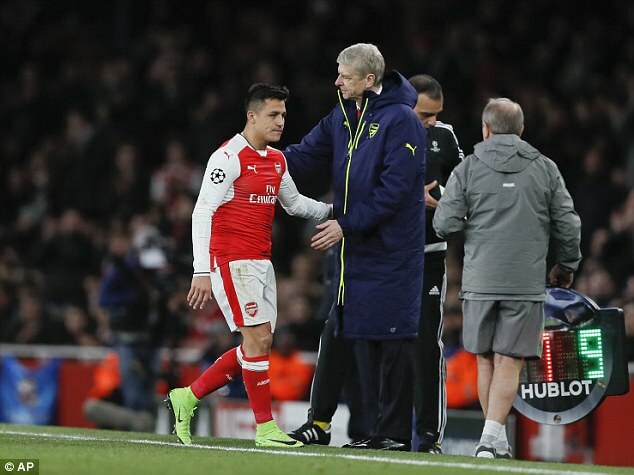 Worst thing: Strangely Arsenal’s Cup run could work against them at the end of a season that has otherwise pointed towards the need for a new manager. Top goalscorer: Alexis Sanchez 18. Will the boss be there next season? Yes. Wenger has no intention of leaving unless things get significantly worse between now and mid-May. Marks out of 10 for the season: 6. Best thing about this season: Their revival. 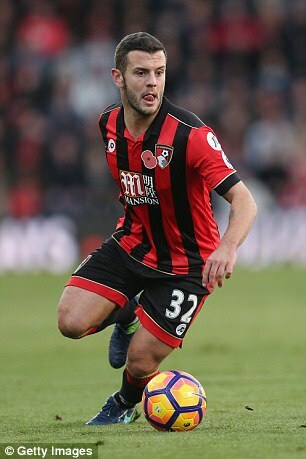 Eddie Howe’s team leaked lots of goals in the winter and looked as though they may be in trouble. But recent improvement reflects well on them. 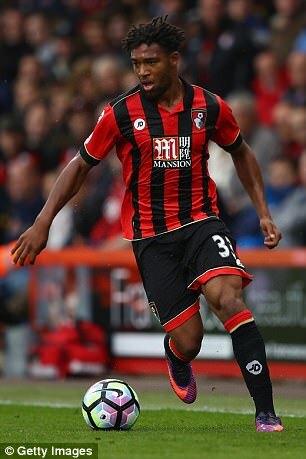 Worst thing: Jordon Ibe and Jack Wilshere were big-name summer arrivals but have they lived up to their billing? No and not quite. Top goalscorer: Josh King 11. Most assists: Junior Stanislas 5. Will the boss be there next season? Yes. Howe is talented but still looks fractionally short of being ready for a really big club. He is only 39, by the way. Marks out of 10 for the season: 6.5. 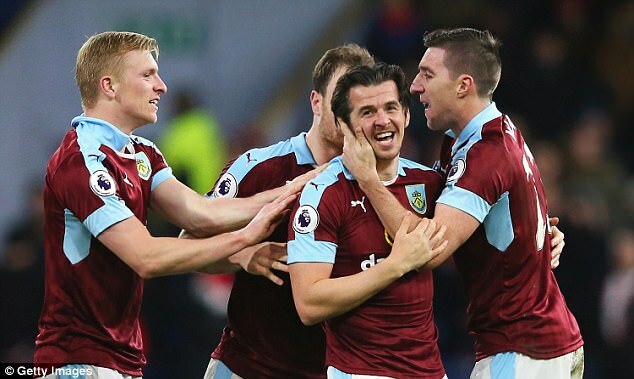 Best thing about this season: Burnley’s home record has been so good that they have spent most of the campaign looking up and not down. That will help them in the run-in. Worst thing: Sean Dyche’s team have suffered late on in games at times. Late goals — both offside — cost them points twice against Arsenal, for example. Top goalscorer: Andre Gray 8. Most assists: Sam Vokes, Steven Defour 3. Will the boss be there next season? Yes. Dyche is capable of the next step but it is unlikely the right job will come up this summer. Marks out of 10 for the season: 8. 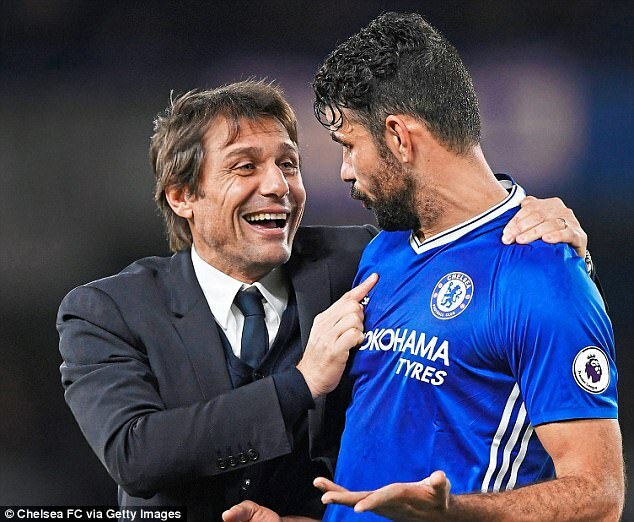 Best thing about this season: Antonio Conte’s system of play has given freedom to Eden Hazard and Pedro and provided a platform for Victor Moses and Marcos Alonso to emerge. 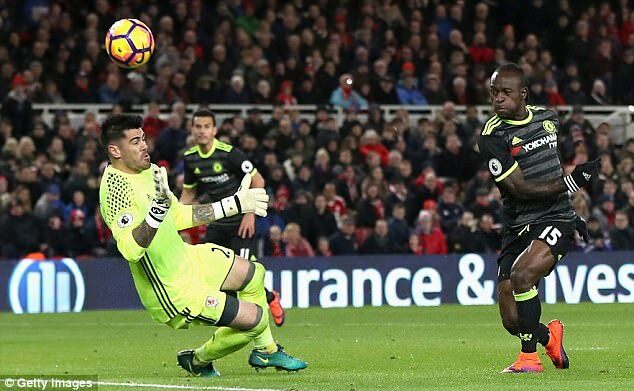 Worst thing: Kurt Zouma, 22, is one of the most talented central defenders in Europe but a serious injury last year derailed him. He has recovered but is yet to start a league game this season. Top goalscorer: Diego Costa 17. Most assists: Pedro, Cesc Fabregas 7. Will the boss be there next season? Yes. One feels this is just the start of something at Stamford Bridge. Marks out of 10 for the season: 9. Best thing about this season: Palace supporters are a loyal bunch and did not hound Alan Pardew out even when it was clear he was failing. Heartening, that. Worst thing: Wingers Wilfried Zaha and Andros Townsend are so talented but so frustrating at times. Some consistency could take them places. Top goalscorer: Christian Benteke 9. Most assists: Wilfried Zaha 6. Will the boss be there next season? Yes. 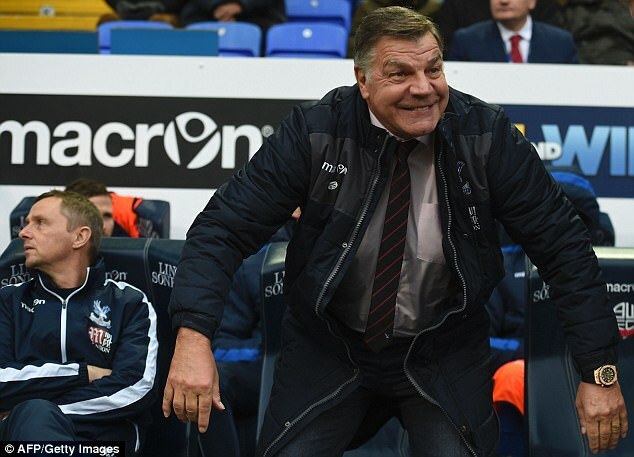 The one big job Sam Allardyce wanted with England has now been and gone. Best thing about this season: Everton suffered a slump during winter that could have been terminal. The way they have recovered says everything about their blue chip steel. Worst thing: There is still a feeling among their star players that the grass is greener. We do not expect Romelu Lukaku or Ross Barkley to stick around. 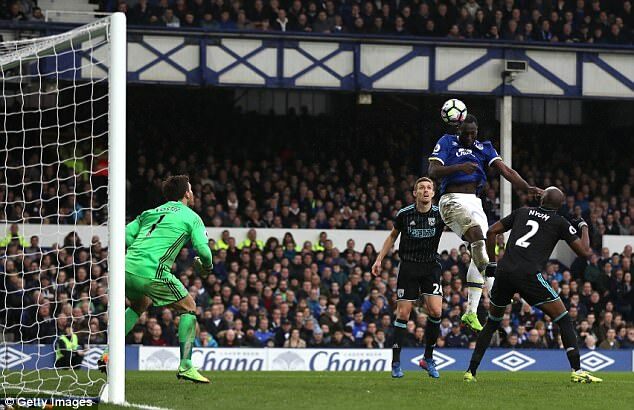 Top goalscorer: Romelu Lukaku 21. Most assists: Ross Barkley 7. Will the boss be there next season? Yes. Fortunately for Everton, Ronald Koeman’s playing pedigree may not be enough to get him the job at Barcelona. 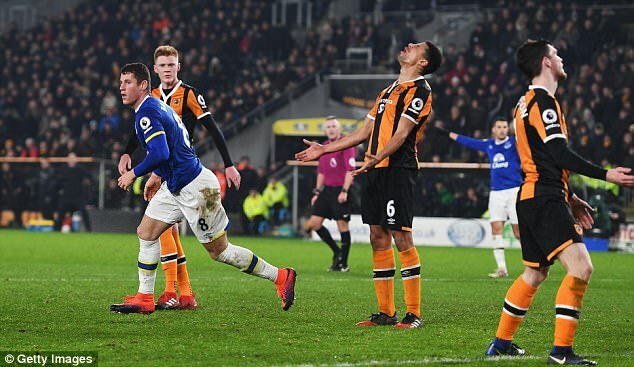 Best thing about this season: The first weekend when Hull beat the champions. Little did we know that before long everybody would be doing it. Worst thing: Hull’s failure to build a squad fit for purpose last summer was embarrassing and shameful. Why bother getting promoted? Top goalscorer: Robert Snodgrass 7. Will the boss be there next season? If Hull go down the talented Marco Silva will, in all likelihood, be on his way. Marks out of 10 for the season: 5. 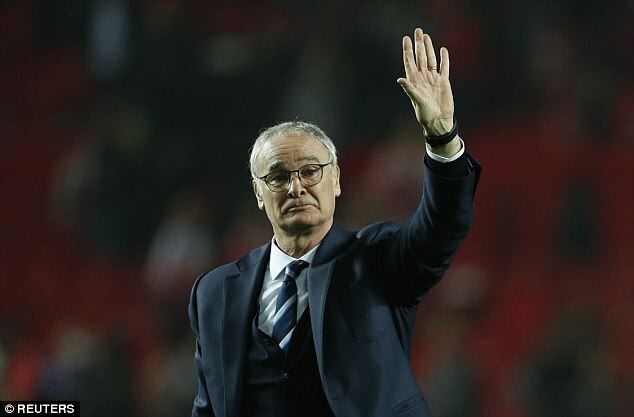 Best thing about this season: Everything that has happened since the sacking of Claudio Ranieri in February, including three successive league wins and a place in the Champions League quarter-finals. Worst thing: Everything that caused Ranieri to be sacked in the first place. Top goalscorer: Jamie Vardy 8. Will the boss be there next season? No. Leicester’s owners want a big name. Unless Craig Shakespeare can lead them to Champions League glory, of course. Best thing about this season: The hope. 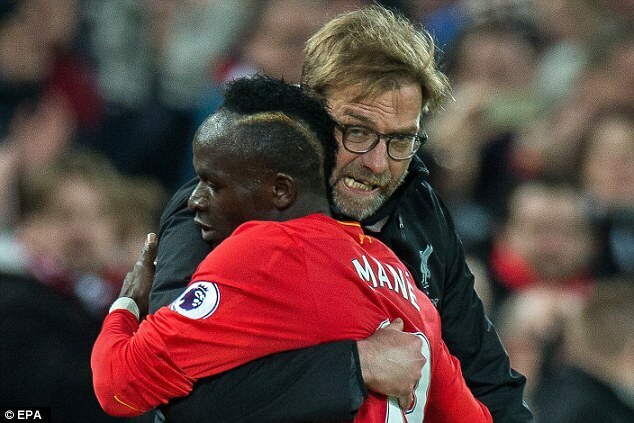 It is impossible to watch Jurgen Klopp’s team without the suspicion that something unmissable is about to happen. Top goalscorer: Sadio Mane 12. Most assists: Adam Lallana 7. Will the boss be there next season? Yes. Klopp does not do short-term projects. Marks out of 10 for the season: 7. 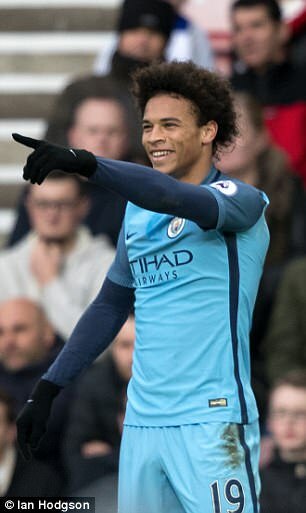 Best thing about this season: When City have clicked they have played some outstanding football and players like Gabriel Jesus and Leroy Sane look like stars of the future. 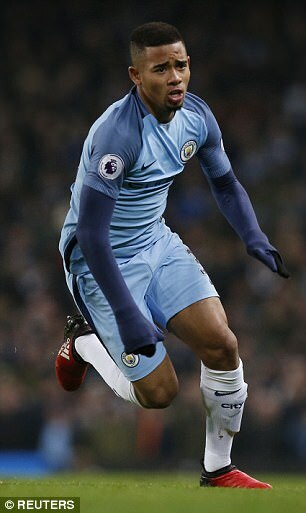 Worst thing: City have struggled to cope with the tactical demands of coach Pep Guardiola. Top goalscorer: Sergio Aguero 13. Most assists: Kevin De Bruyne 10. Will the boss be there next season? Yes. Guardiola often looks like he is ready to take his ball home but those who know him say he is in this for the long haul. Best thing about this season: After three years of uncertainty, United now have momentum and the feeling that manager Jose Mourinho has a plan and a style of play that works. Worst thing: Paul Pogba has been disappointing and United rely too much on Zlatan Ibrahimovic. 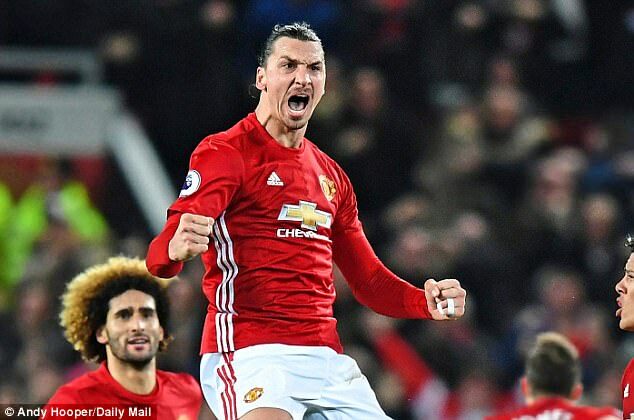 The Swede has 15 Premier League goals while United’s other three strikers have eight between them. Top goalscorer: Zlatan Ibrahimovic 15. Most assists: Wayne Rooney 5. Will the boss be there next season? Yes. The Lowry Hotel will be pleased. Best thing about this season: The rebirth of goalkeeper Victor Valdes. Few would have had the appetite to rebuild a gilded reputation in a relative backwater after his troubles at Manchester United. Top goalscorer: Alvaro Negredo 6. Will the boss be there next season? No. Steve Agnew is caretaker at the moment and is unlikely to be offered an upgrade. Marks out of 10 for the season: 5.5. 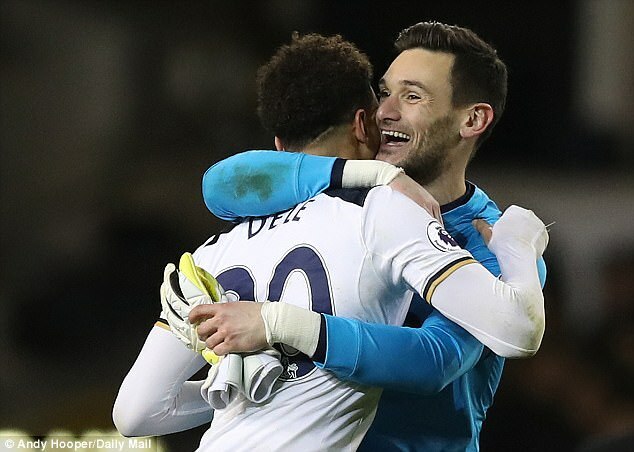 Best thing about this season: The club continues to allow top English talent to develop. Nathan Redmond and Jack Stephens are the latest two. Worst thing: Claude Puel’s team do not score enough goals and it has held them back. Only Middlesbrough have scored fewer at home. 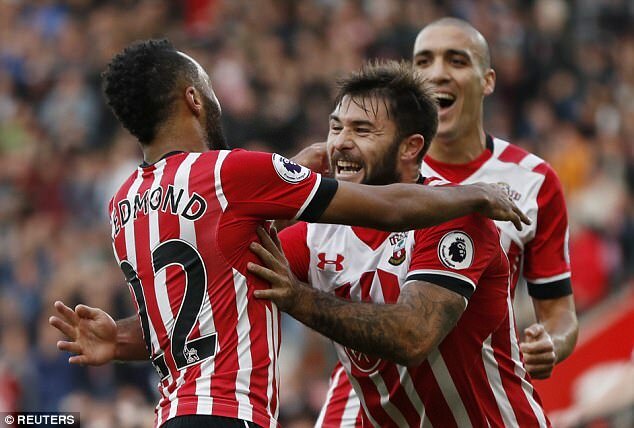 Top goalscorer: Charlie Austin 6. Most assists: Dusan Tadic, James Ward-Prowse, Ryan Bertrand 4. Will the boss be there next season? Yes. Puel has admirers in France but is happy in Hampshire. Best thing about this season: There is a stubbornness about Stoke that mirrors their manager. Mark Hughes and his players have not always hit last season’s heights but another top nine finish beckons. Worst thing: Stoke must be better when they play away against the big boys. A deserved draw at Manchester City is a rare high point so far. Top goalscorer: Joe Allen 6. 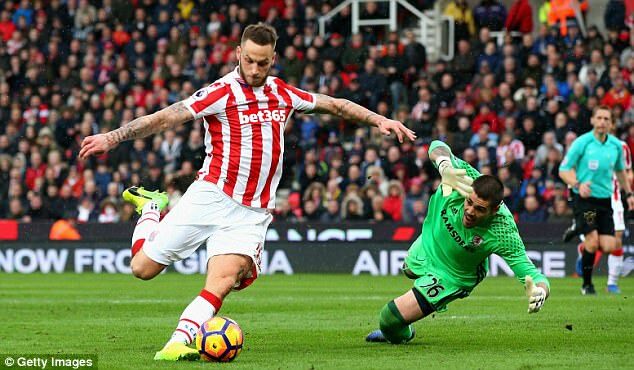 Most assists: Charlie Adam, Marko Arnautovic 3. Will the boss be there next season? Yes. Hughes wants to take Stoke back into Europe. Marks out of 10 for the season: 7.5. 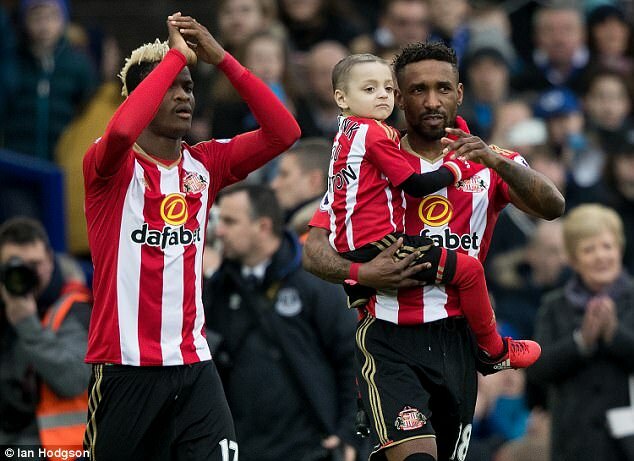 Best thing about this season: The Indian summer of Jermain Defoe. The centre forward is back scoring goals for England again. Worst thing: Staff at the club have been told to prepare for redundancies already. How can this happen in the mega-rich Premier League? Top goalscorer: Jermain Defoe 14. Most assists: Adnan Januzaj 3. Will the boss be there next season? They say he will but if that is the case, David Moyes needs to rediscover his mojo. Too many negative messages this season. Marks out of 10 for the season: 4. Best thing about this season: They are still better than Cardiff. 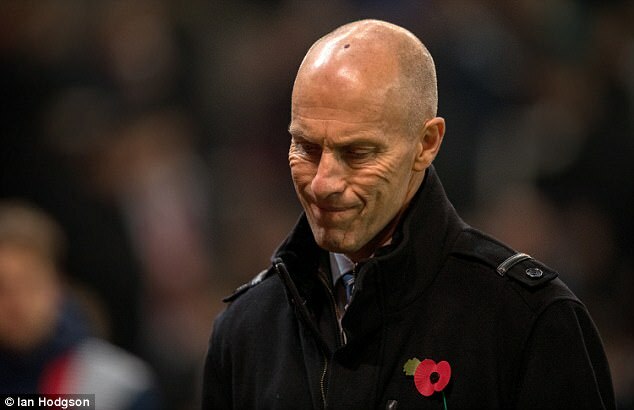 Worst thing: The hiring of Bob Bradley was ridiculous. A team in trouble needs a manager who knows the environment and watching Swansea play in the 11 games under the American was horrific. Top goalscorer: Fernando Llorente 11. Most assists: Gylfi Sigurdsson 11. Will the boss be there next season? Yes. Even if they go down, Swansea need consistency and Paul Clement can provide it. Best thing about this season: What happened last year could have sunk them but they have come back stronger. And most of their big players are getting better. Worst thing: Eric Dier has not kicked on yet while there is still no natural understudy to Harry Kane. They will be in the market for a striker this summer. Top goalscorer: Harry Kane 19. Most assists: Christian Eriksen 10. Will the boss be there next season? Yes. Mauricio Pochettino thinks he can win the Premier League within the next three years. Best thing about this season: Last season, Watford finished 13th with 45 points and look set for a similar return. So they have not got worse. Worst thing: Watford lack a unique selling point, a hook to grab the neutral’s interest. They beat United early and that was kind of it for the season. Top goalscorer: Troy Deeney 9. Most assists: Jose Holebas 4. Will the boss be there next season? No. Stability and consolidation do not impress the owners at Vicarage Road. 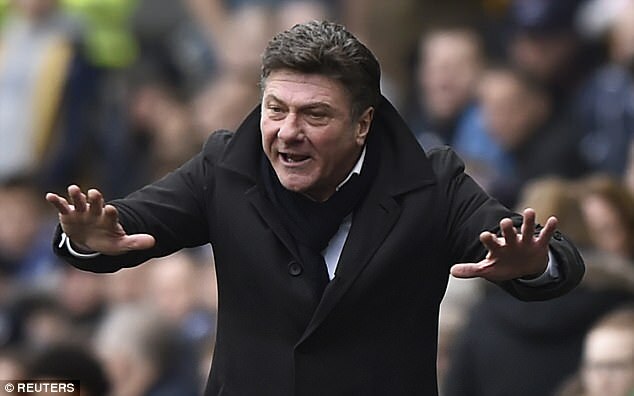 Walter Mazzarri could be on his way. Best thing about this season: The club’s formidable home record. They have won nine of 15 in the league, the same as Arsenal and more than both Manchester clubs. Worst thing: There are still some fans unhappy with their style of play. They should realise that fancy football does not look great in the Championship. 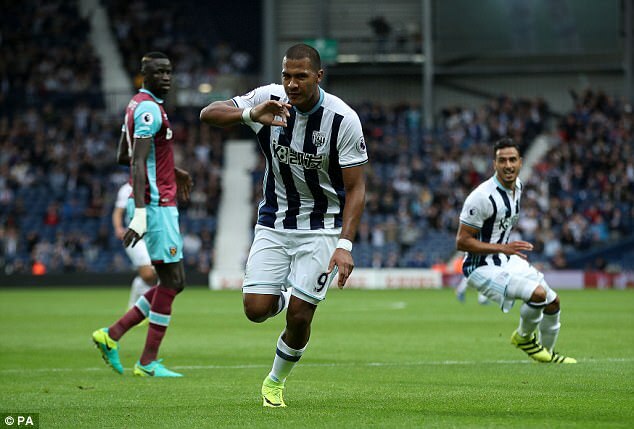 Top goalscorer: Salomon Rondon 7. Most assists: Matt Phillips 8. Will the boss be there next season? Tony Pulis has a one-year extension on the table — sensible West Brom fans will hope he signs it. 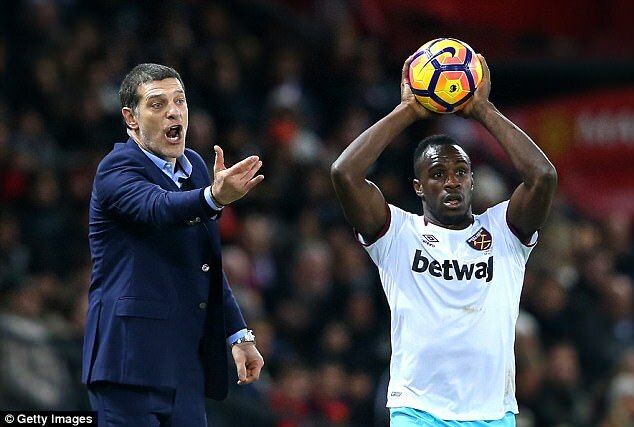 Best thing about this season: The way Slaven Bilic did not allow the campaign to be sunk by the Dimitri Payet saga. He is gone and, almost, forgotten and that is how it should be. Worst thing: That there is now talk about Bilic’s job being under threat. That is quite wrong but at the same time not that surprising. Top goalscorer: Michail Antonio 9. Most assists: Antonio, Sofiane Feghouli 3. Will the boss be there next season? Yes. West Ham will finish 11th and common sense will prevail. Won’t it?